It is critical that you select the right type of racing toque converter and stall for vehicle. 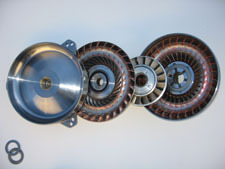 Not only torque converters for the race track but also on the street. The right converter can be the sole factor between winning and losing a race or getting better performance of your vehicle on the street but choosing the wrong type of converter can shorten the life and potentially destroy your transmission. 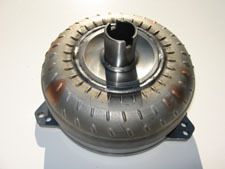 Click here to view some basic guidelines that can help you find the right torque converter for your specific application. Roadrunner converters custom matches every performance racing converter to the customer needs and vehicle. These are not the cheap modified OEM converters. All strip racing torque converters feature billet steel front covers and stator options to match your needs with the ultimate high performance converter to handle up to 1500 H.P.